It's a profile like all the others on the online dating site. But as NYPD Detective Kat Donavan focuses on the accompnaying picture, she feels her whole wordl explode. Staring back at h er is her ex-fiance Jeff, the man who shattered her heart and who she hasn't seen in eighteen years. Soon Kat is consumed by an investigation that challenges her feelings about everyone she has ever loved - her former fiance, her mother, and even her father, whose cruel murder so long ago has never been fully explained. With lives on the line, including her own, Kat must venture deeper into the darkness than she ever has before, and discover if she has the strength to survive what she finds there. From Sunday Times bestselling author Harlan Coben comes a heart-pounding thriller about the ties we have to our past... and the lies that bind us together. 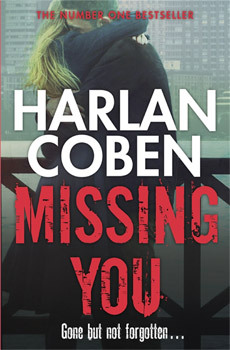 Harlan Coben's combination of dark twisting stories set against the backdrop of serene, domestic settings have made him one of the most succesful crime thriller authors writing in the world today. He has inhabited the top of the charts all over the world for over a decade now and still more new fans are discovering him. This new novel will continue his explorations of betrayal, loss and dark secrets - an irrestibible combination.